What combines innovation with social good? Social enterprises! And luckily for us, Hamilton is full of them. I’m going to start doing a series on these lovely organizations distributed all over Hamilton, from diverse disciplines. This week: Centre3 for Print and Media Arts! In an interview with Thea Faulds, the Operations Manager at Centre, we learn about how it is much more than just an arts centre, with numerous programs and how McMaster students can get involved. What was the vision for Centre when it was first started, and how has that changed in the past years? The vision was to create a centre that impacts our community artistically, socially and economically. Centre for Print and Media Arts is celebrating its 10th anniversary this November and over the past few years The Centre’s vision has broadened, rather than changed. Centre has moved from solely supporting traditional print media to supporting media Arts as well. The centre acts as a production, exhibition and education hub that supports artists in the development of their professional endeavors and acts as a resource centre for the visual and media arts community. Centre has also expanded its outreach in arts education, as well as community arts. Centre3 links artists and community groups in a collaborative creative process. It also provides courses for the general public, as well as separate elementary and secondary schools. Centre has also grown to have a retail component. Centre has a large screen printing facility and offers print services to local groups. Artists are hired to do screen printing jobs, as well as help with design in the implementation of products. Artists who are members are also encouraged to sell their prints, t-shirts, and other printed material in our shop. What is the role of Centre in the Hamilton Community? Centre strives to provide space and offer opportunities to local communities., students and artists of Hamilton. The centre encourages the inclusion of diverse cultural groups and realizes the importance of art in the making of creative cities, by providing reasonably priced equipment to artists, as well as programming for youth, seniors and all levels of artists. The Centre also offers opportunity for its members to exhibit, which creates community engagement and conversation. What kind of projects has Centre housed in the past? Centre3 hosts a number of different projects. For example (Re)Print, for this project Centre3 linked professional artists with three marginalized youth groups in Hamilton to creative collaborative relationship. The practicing artists involved were Stephen Fakiyesi, Daryl Vocat, Brendan Fernandes, Matt McInnes, Chris Saba and Becky Katz. Centre3 has also housed many artist residencies for artists. Artists include Kearon Roy Taylor, Andrew Bailey and Amanda Forrest Chan. These artists are supplied with materials and space to finish their projects which will be exhibited at Centre3. One of the most popular programs that is ongoing at Centre is Nu Deal. NuDeal is a youth initiative, in which students learn how to design, produce, market and sell screen-printed merchandise. Centre has formed a partnership with the school board to support this program. The NuDeal model has been so successful that the centre has just implicated a NuDeal Media Arts youth program. What kind of classes do you host? 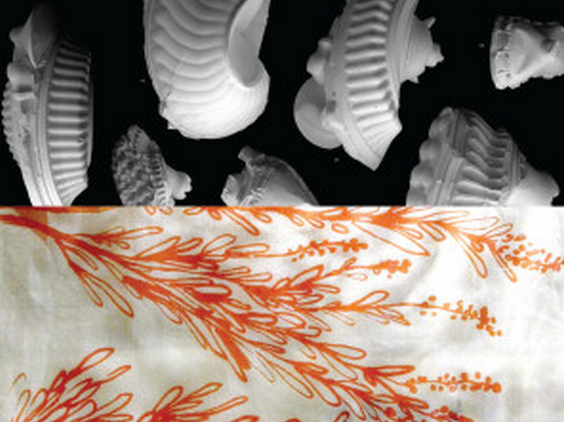 We host a variety of workshops in various forms of traditional printmaking, as well as some media arts classes. 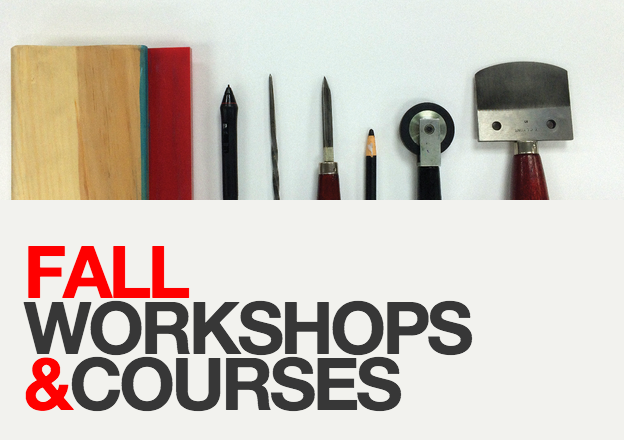 Some of our most popular classes include Letterpress, Mezzotint, Photoshop and Illustrator. We are also looking forward to offering some Raspberry Pi workshops in winter. How can McMaster Students get involved at Centre? We invite students to become members at Centre, since we are an artist-run centre we rely on the voice of our members to shape our vision and it would be great have more students involved. As a member, you have access to traditional printing presses, computer labs, Digital Printing and editing facilities, as well as opportunities to exhibit your work, etc. We can also provide Internship, volunteer hours and Co-op placements. What are your programs for Art Education? We have Nu Deal, Nu Steel, as well as various adult evening and weekend courses. We also work on projects such as Hyphenated Homes where we go into schools and teach traditional and new media print making to families. We have a vast array of programming for all different levels of artists and many communities in Hamilton. For more information, visit Centre’s website!